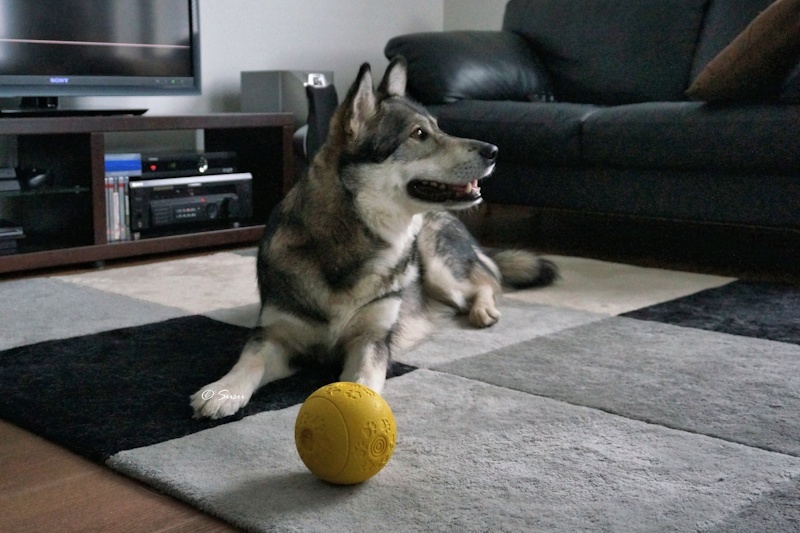 A treat ball is a must in every dog’s toy selection. I put only kibble in the Karlie Boomer treat ball (size 10,5 cm) because it’s not possible to open the toy for cleaning. 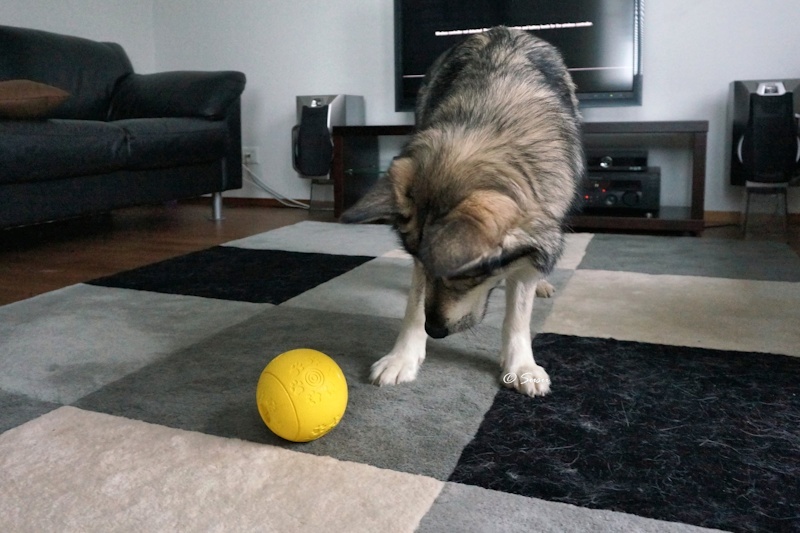 Although there is a labyrinth inside the ball, it takes Miki only a minute or two to get all the kibble out. 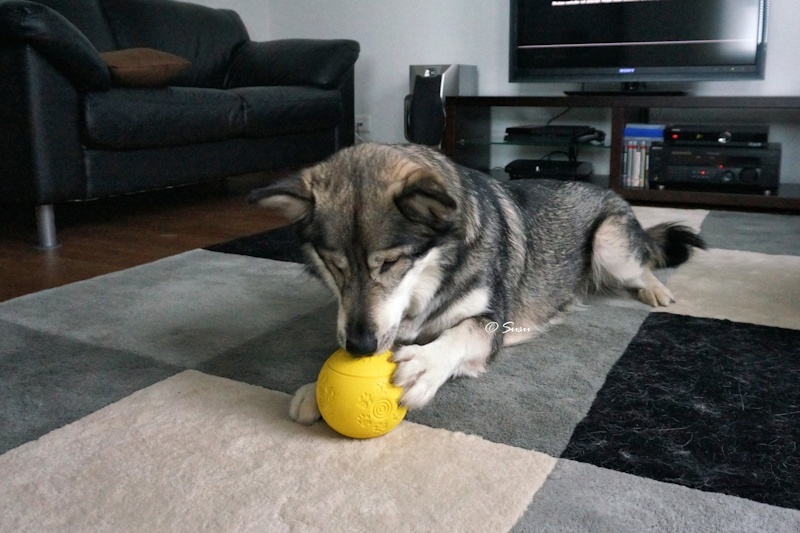 And because the toy is so easy, it’s one of the best food dispenser toys to start with. 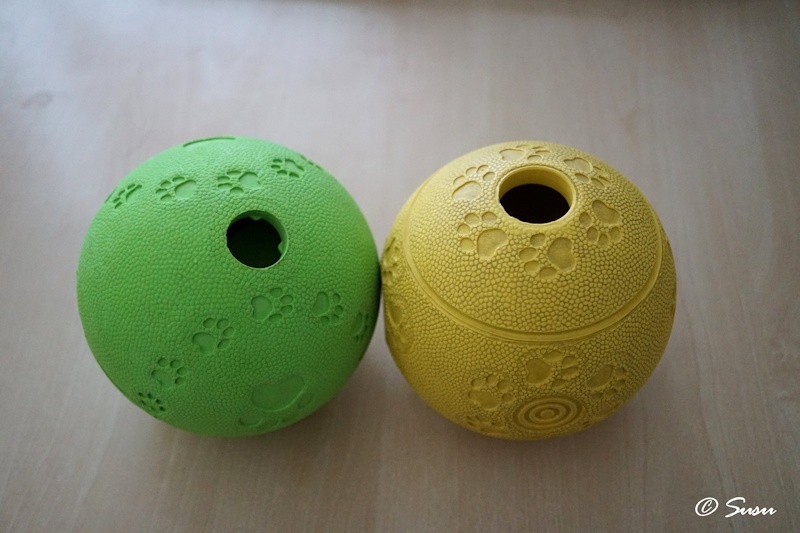 These food dispenser balls may all look similar, but there are some differences. This yellow Karlie Boomer ball has a larger opening and it stands still so it’s relatively easy to fill. There is also a closed opening on the bottom so you can rinse it thoroughly with water but the kibble won’t fall through. This ball cost me something like 10 euros. When this yellow ball got dirty enough I bought this green ball as a replacement. This green ball was a bulk so I don’t know the manufacturer but I know it’s a cheap copy. I paid 5 euros for it and I thought that I made a good deal, but I was wrong. 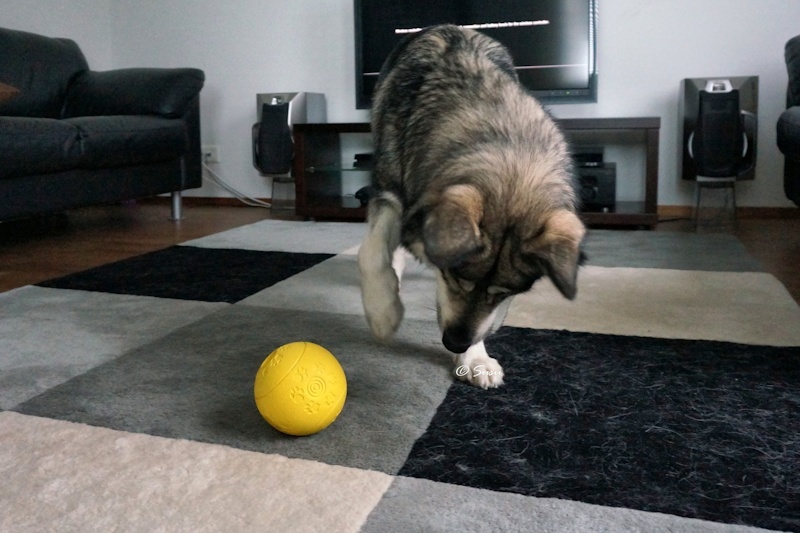 The green ball won’t stand still and the opening is so small that filling the ball with kibble is a torment. It also lacks the second opening so it’s very hard to clean. Although the balls look similar I recommed to pay a bit extra for a proper ball so you don’t need to loose your temper with it. 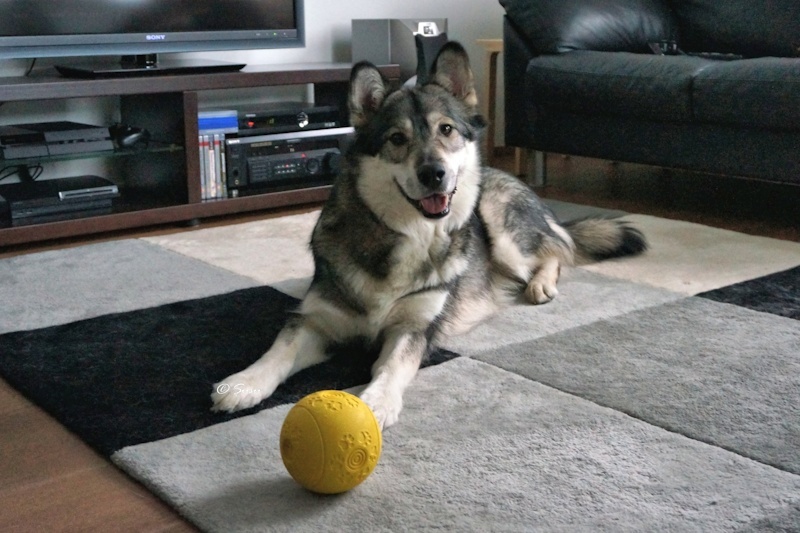 In these pictures Miki is just over a year old and he plays with the ball for the first time.